I prefer to make all my baking foods from scratch, but lately I’ve been tempted to try some of those gluten free mixes that I’ve seen in the stores. So, today I am going to share with you my outcome and opinions of two particular gluten-free mixes I tried recently. 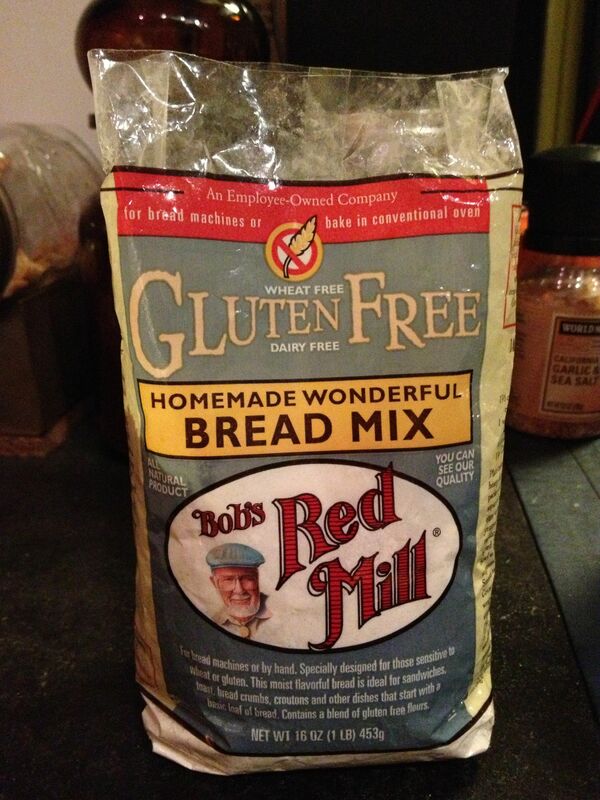 The first being Bob’s Red Mill gluten-free Homemade Wonderful Bread Mix. I don’t have a bread machine (and I don’t believe in them), so I followed the basic bread making directions on the package. It was fairly simple to make and I actually had a better outcome with this bread mix than when I have made it from scratch. My problem in the past has been getting the dough to rise. Really, it’s probably because my kitchen is too cold in the winter when I’ve tried to make it, or my water added to the yeast is too hot or not warm enough…. Oye vey, the trials and tribulations of baking yeast breads. Overall, I give this bread mix two thumbs up, as it was easy to make and it cooked up soft, rather than dry like alot of gluten-free breads I’ve tried. 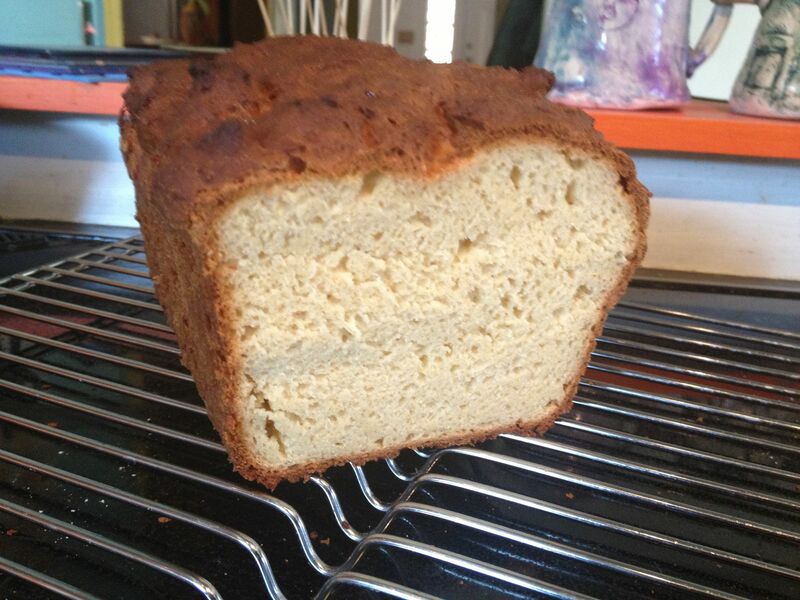 Udi’s has been rated the best gluten-free bread on the market….and this one tops it by far. The only thing I do not like about any of the gluten-free breads I’ve tried so far is the crust. I ended up with the same crust outcome as what I get from an Udi’s loaf. I am not a regular crust hater, I do not usually cut my crust off bread- but this one I do because it is too thick and dominant. Yeah, I think dominant is the right word. Anyway, this mix can be purchased on vitacost.com (along with other gluten-free products and flours) for a reasonable price. Shipping is a flat rate of $4.99. So be sure to shop around for beauty products, lotions, etc. and make the shopping worth your while. 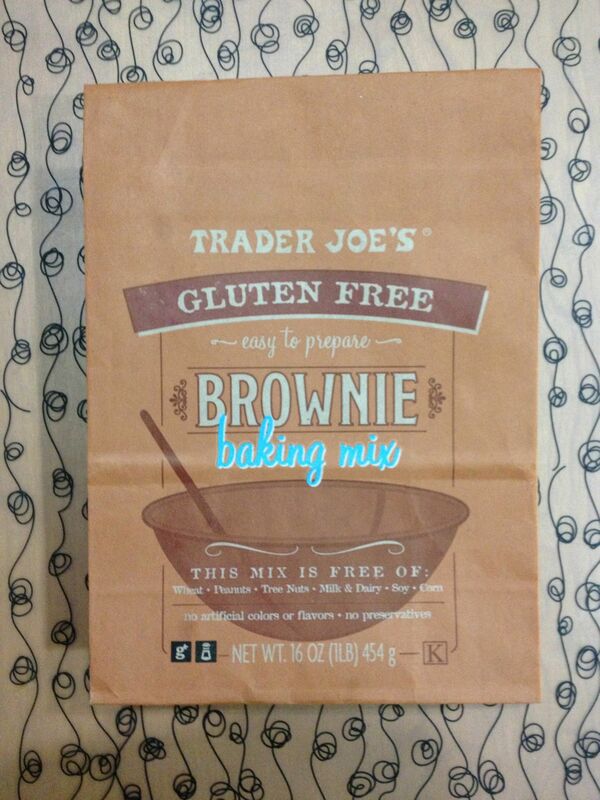 The other gluten-free mix I tried was Trader Joe’s Gluten-Free Brownie Mix for $3.99. I thought this would be a wonderful Valentine’s Day goodie for my family, and boy I was wrong. It may have something to do with the fact that while it was baking I couldn’t tell if it was done, so I may have over-baked it. But I promise- I did bake it for the recommended 30 minutes, and while it was baking the oil slightly rose to the surface giving it this consistently shiny appearance. 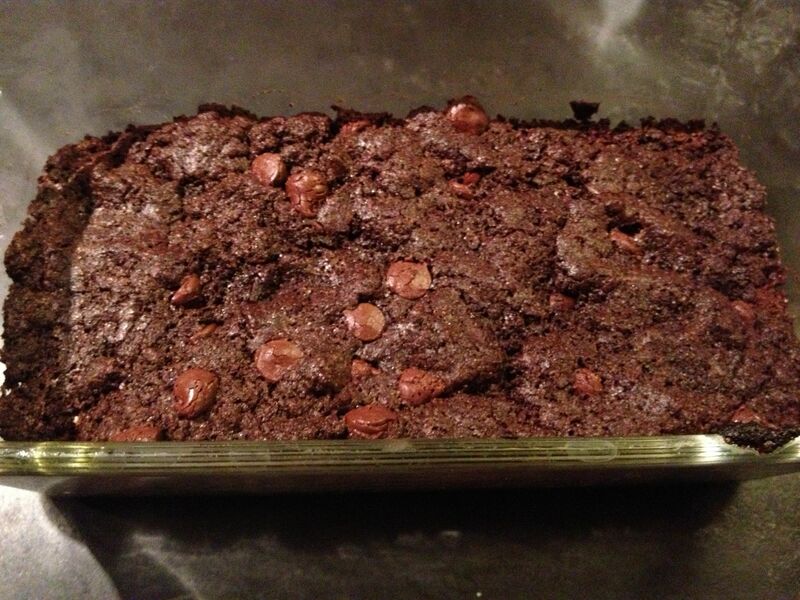 As you will notice in my final result pic, I added chocolate chips to the mix, per recipe recommendation. Overall, I give this mix one thumb up, and one thumb down. They actually tasted really good, so I cannot give it two thumbs down…..and if you like crispy brownies then you will like these. My son loves them, but although I like a crispy outer edge on my brownie, I also like a gooey chewy center- and these are NOT that. So after these experiences, I will most likely continue to tweak basic recipes to partially gluten-free (half and half with the flours), and fully gluten-free rather than buy mixes…until the next time I am tempted of course. But no matter what, I will give you my truthful opinion, and always share with you my successes and failures; and if there’s a recipe for it, it will be here. 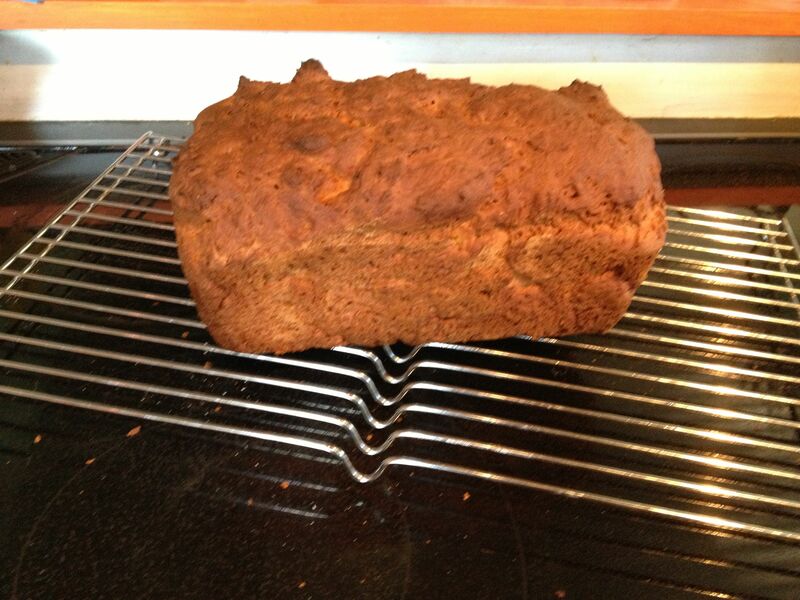 This entry was posted in baking, gluten-free, tried and truths and tagged gluten free bread, gluten free products, gluten-free, yeast breads. Bookmark the permalink.